A Church of Scotland in Aberdeenshire has welcomed a new minister to their parish after three years of vacancy. 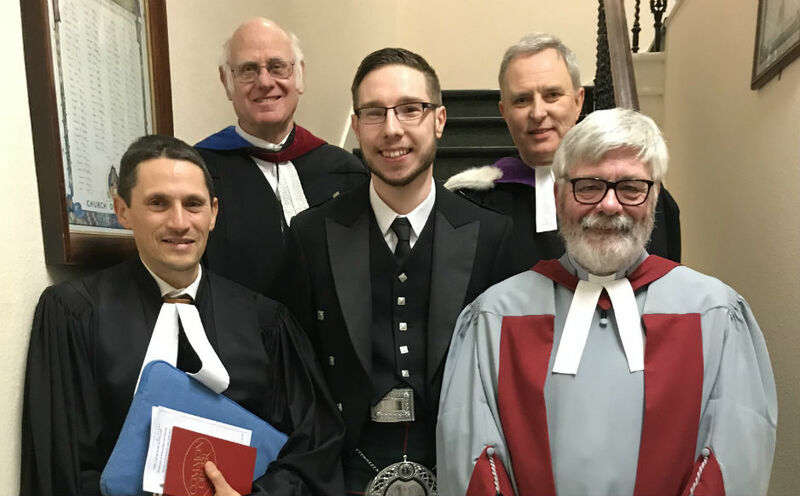 Rev Andrew Morrison, 27, was ordained and inducted at Arbuthnott, Bervie and Kinneff Church on Thursday 7 March and is now the Kirk's third youngest minister. Mr Morrison, who is originally from East Kilbride, explained that initially he and his wife Kirsty were not looking to move to the area, but changed their minds after they got to know the congregation. "They don't want to just stay the same - they want to continually do all they can to reach others with the life-changing news of Jesus", he said. "We've grown to love the place and feel right at home already." Becoming a minister has been something Mr Morrison has thought about for more than a decade. "Way back in 2008, a week before my 17th birthday, I was at 'Frenzy' a one-day Christian music festival in Edinburgh. One of the worship leaders was the American singer, Chris Tomlin", he said. "The chorus of his song 'God of this City' has the words, 'For greater things have yet to come, and greater things are still to be done in this city', and I immediately released that God wanted me to be a part of that, and to do his work." He still had a place to study Geography in Glasgow however and decided to check "this ministry thing" wasn't just a teenage phase. "Throughout my Geography degree, all I could think about was sharing the gospel", he said. A divinity degree with Highland Theological College in Dingwall followed, with a probation placement at Fullarton Church in Ayrshire, working alongside Rev Neil Urquhart. "Neil was a wonderful mentor and brother in Christ", he said. "Kirsty and I feel incredibly blessed to have served in a congregation that focuses on preaching the gospel and helping people grow as disciples. "Neil is all about 'helping people take steps closer to Jesus'. That phrase quickly stuck with me, and my ministry here will be all about that too." A keen hill-walker, Mr Morrison once walked 130 miles in four days from Glasgow to Inverness to raise funds for a school in Ghana. Over the next year he plans to "connect and build on" what is already happening in the parish, putting an emphasis on helping people in the community see the connection between their daily life and the Good News of Jesus. "For instance, we've got a community garden here at Bervie Church, so we'll be looking at how we can use this space in an even better way to connect local people to Jesus," he said. 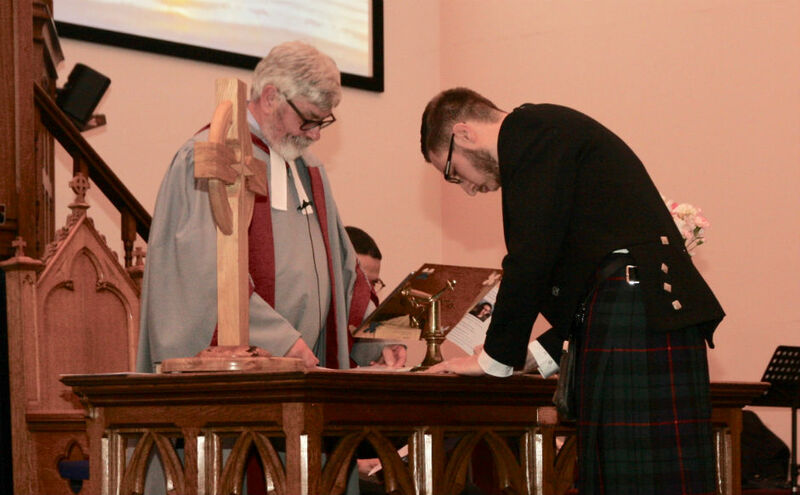 Rev Hugh Conkey, Presbytery Clerk for Kincardine and Deeside said: "The Presbytery is very glad to welcome a new minister at the start of his service to the church and we're looking forward to all that he brings to the local area."